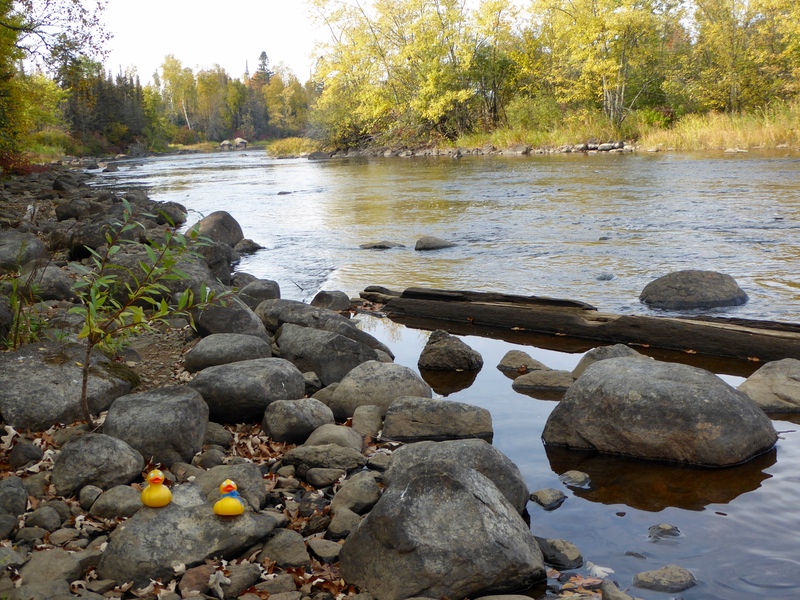 Zeb and Soapy Smith Duck drove over another bridge from Superior, Wisconsin back to Duluth, Minnesota. We love driving through this part of the United States. 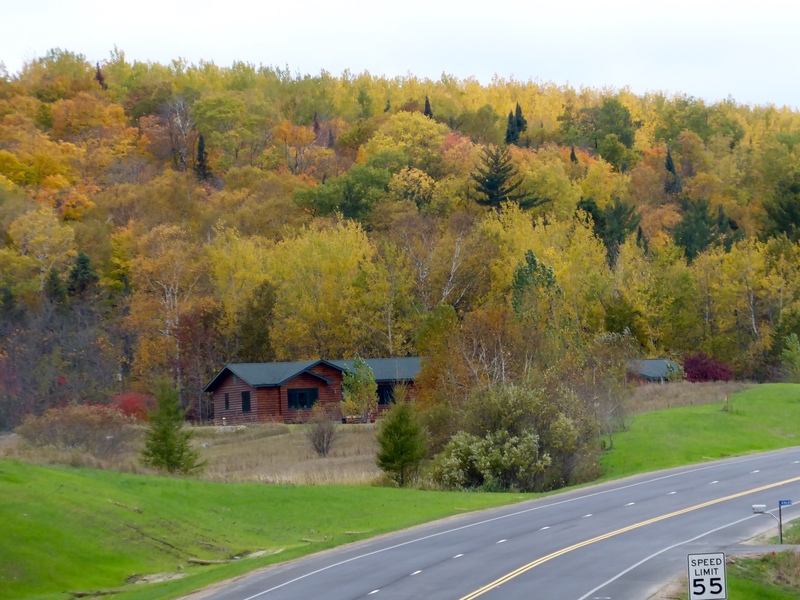 We are driving north from Duluth along Lake Superior. Split Rock Lighthouse is magnificent. November 27-28, 1905 this area experienced a “Storm of a Century”. 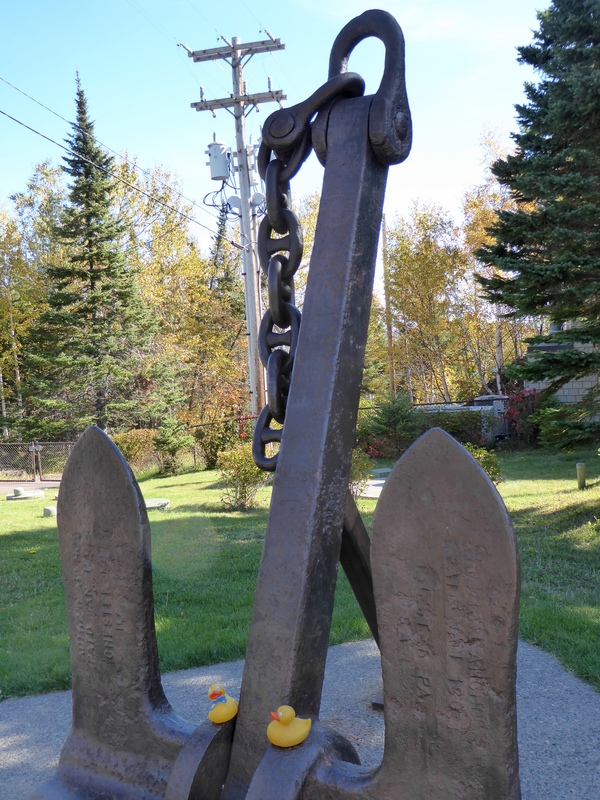 More than 20 ships sank or were heavily damaged at the west end of Lake Superior. 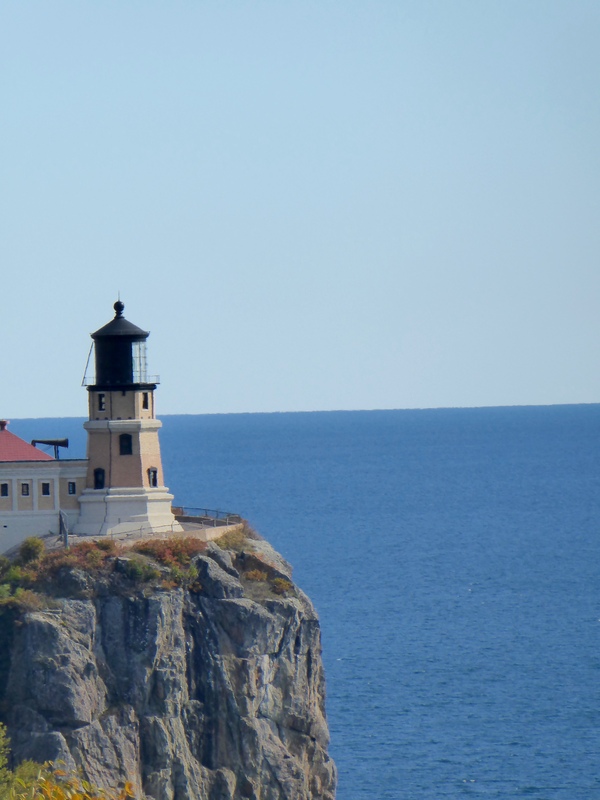 Split Rock Lighthouse was completed in 1910. At the Visitor’s Center we were greeted by the anchor of the Madeira, a 5,000 ton steel barge that went down in this storm. Anchor from Madeira. A 500 steel barge, and it could float??? Lakes are beautiful, but can be dangerous. 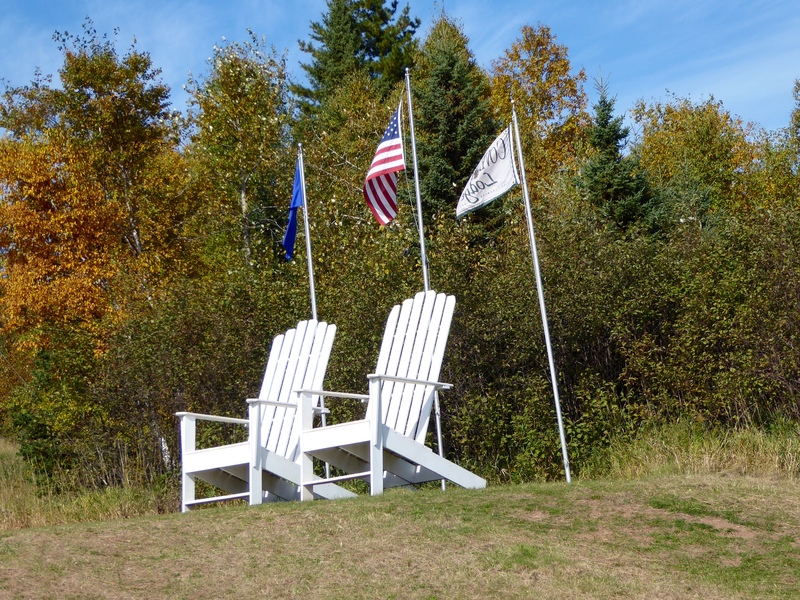 We loved these big chairs on the cliffs overlooking Lake Superior. They are part of an advertisement for a resort on Lake Superior. If we come here in the summer, we would stay at this resort. Next stop for us is Beaver River. Don’t you just love cascading rivers? We do! 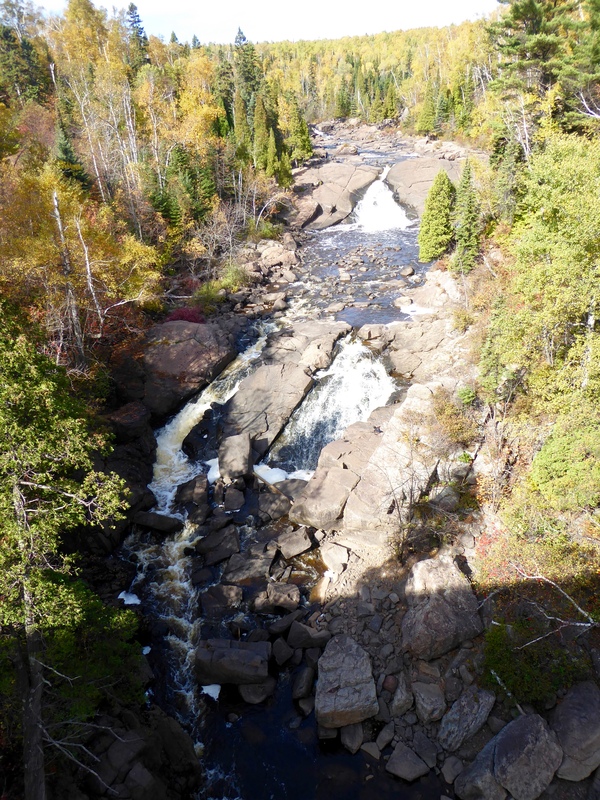 Beaver River flows into Lake Superior. So much beautiful water. 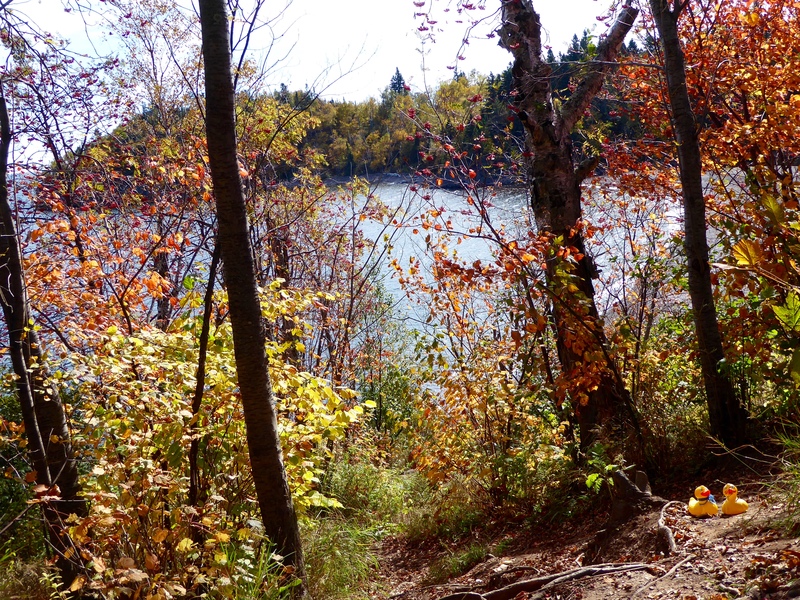 Great view of Lake Superior through the trees. 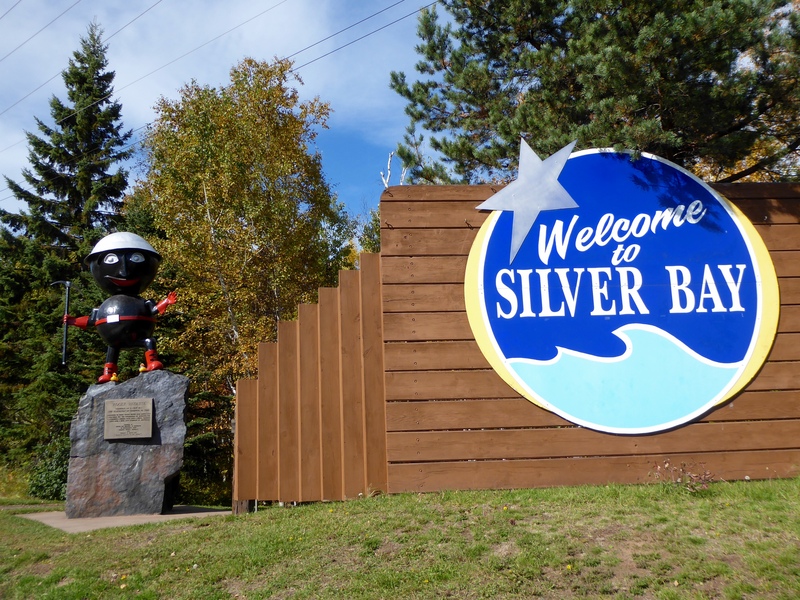 We are now in Silver Bay, Minnesota. This is Rocky Taconite. Taconite is now made into steel. This was a great economic boost to the economy in this area. 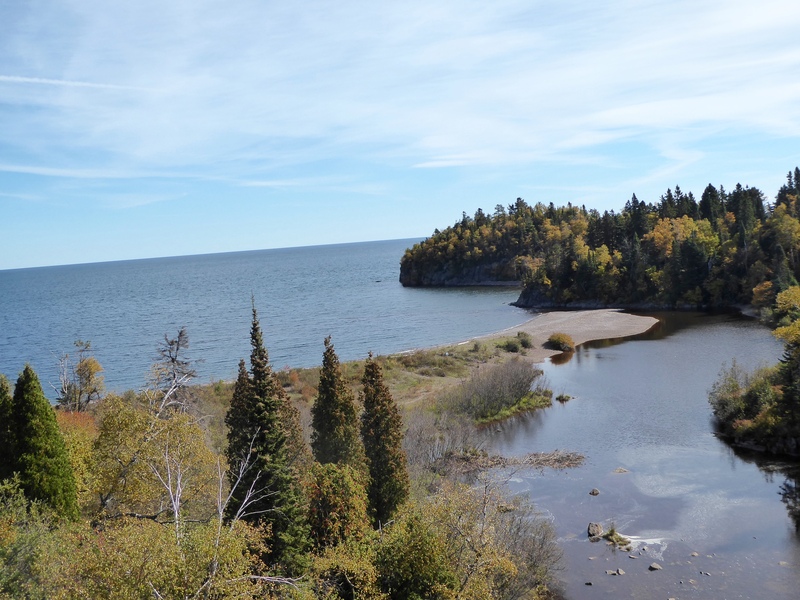 We will now drive west, leaving Lake Superior. 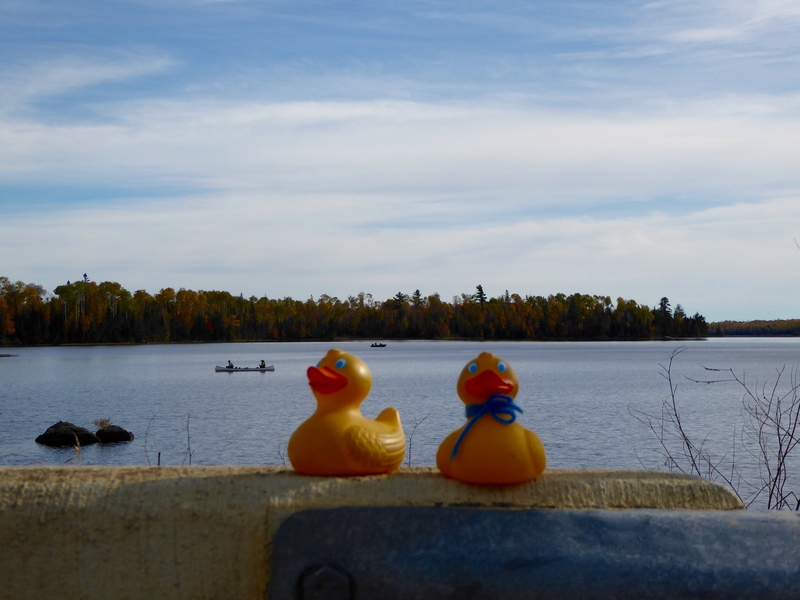 Further north and inland, we would come to the Boundary Waters Canoe Area, and we are not prepared to leave our car and canoe across Minnesota. It is great thing to do in the summer, though. 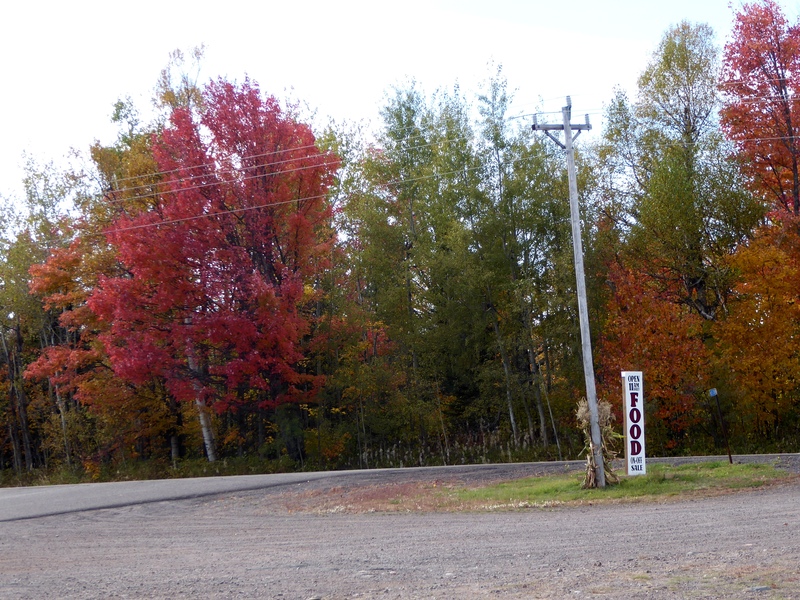 We love the red leaves on this tree, and, of course, a sign announcing food is always a welcome sight. 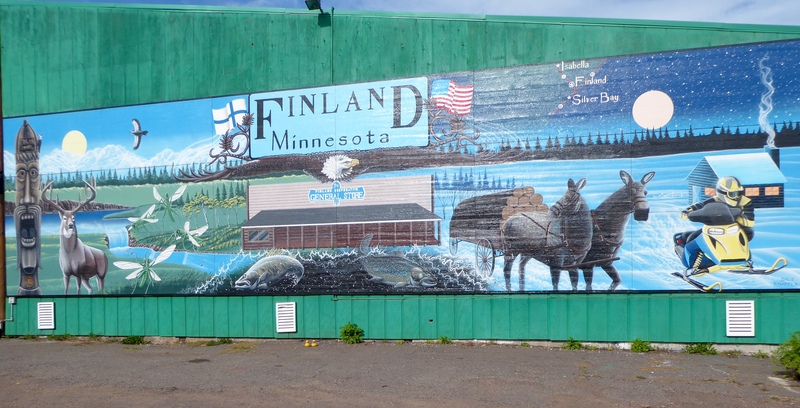 Continuing, we arrived in Finland, Minnesota. Great mural created by Dale Knaffla in 2011. Minnesota is known as the Land of 10,000 Lakes, but don’t forget all the beautiful rivers. We are now in Ely, Minnesota. Ely is a tourist town and we saw many outfitters with stacks of canoes ready for next spring. 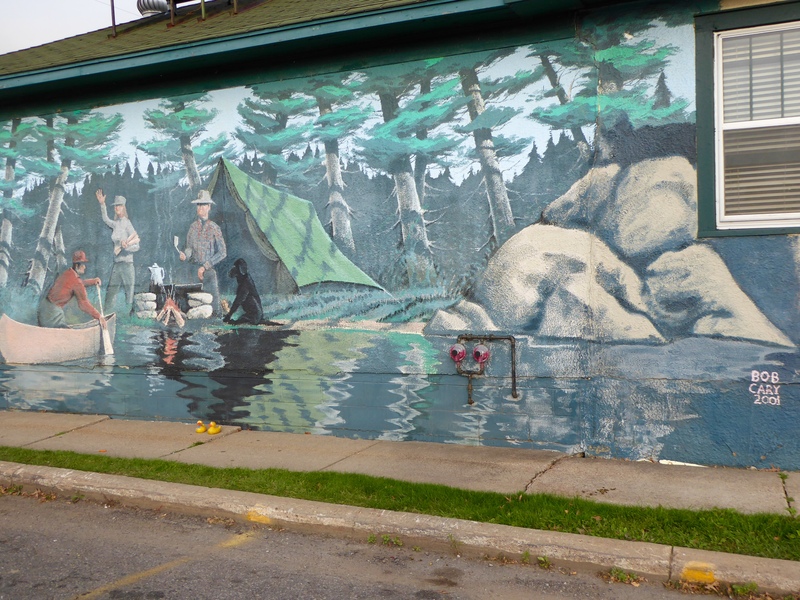 Here, in Ely, we admired this mural by Bob Cary in 2001. As you can tell, we like the murals painted on buildings. We thought this looked like a nice house in beautiful Minnesota setting. 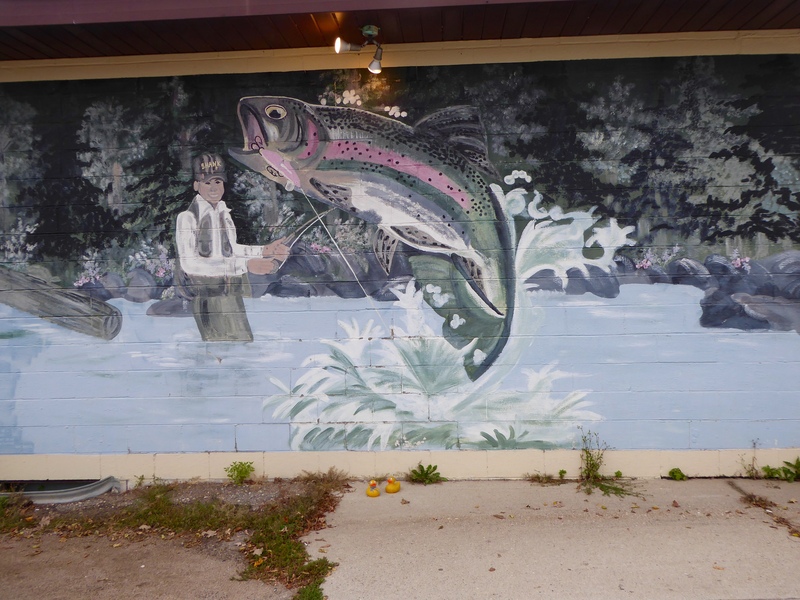 Here is another mural in Detroit Lakes, Minnesota. This was done by Amis Aboleg in memory of Tim Wokasch, saying “Watch over the rest of us. 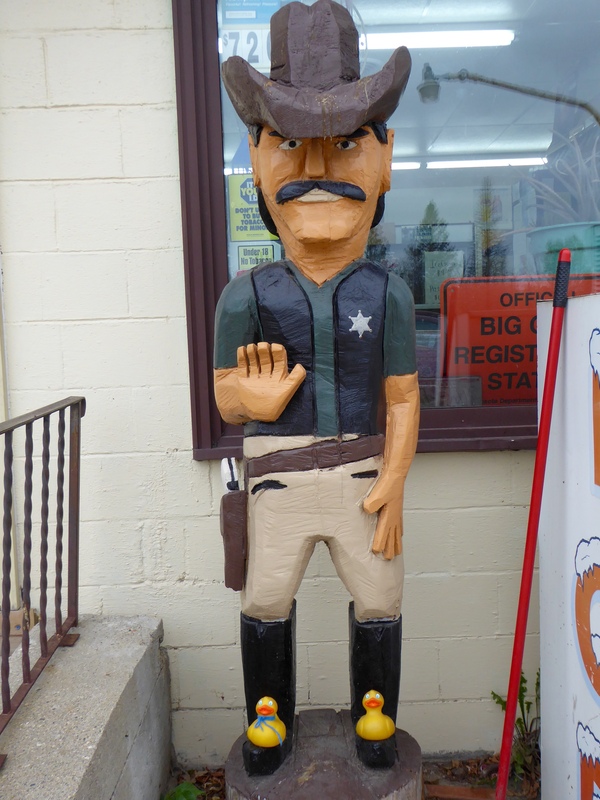 See you on the Flip Side.” Nearby, in Detroit Lakes, we appreciated the wood carving of the sheriff. Minnesota has so much, but this is our favorite memory of Minnesota. We hope you enjoy Minnesota as much as we did. This entry was posted in Uncategorized and tagged Colorado Traveling Ducks, Detroit Lakes, Ely, Northern Minnesota, Silver Bay, Split Rock Lighthouse, Taconite. Bookmark the permalink.